This history intends to keep growing, just as the Swim is. The World-Famous, Iconic, Open-Water Swim! This history will attempt to recount how it got that way. Then, Just How Did It Get This Way? He created Waikiki Bay, a swim venue made in his Heaven. Perfect water, perfect sandy beaches and bottom, perfect waves, perfect winds. He led the Hawaiian people to a perfect homeland for these noble and courageous, long-haul Seafarers. This page has been visited 648986 times! Not the hotel, but the whole long beach...is reputed to have been reserved for the Alii, the royal nobility of the Hawaiian chiefs and their families. Modern research has the Hawaiians arriving from Tahiti some 1500 years ago. 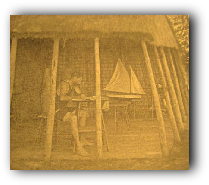 Capt Cook, in the late 1700's, and other early explorers left accounts of the Hawaiians "sporting in the surf with boards". More recent history relates that the coming of the missionaries put a damper on these and other frolicsome activities. By 1890 or so, at the end of the Victorian period, these water sports were no longer a way of life in these then British Sandwich Islands as they had been in previous times. Probably not "nearing extinction" as some have reported, but rare. This man, so fondly remembered by Mrs E. Fullard-Leo, came to Honolulu early in the new 20th century. He was born in South Carolina from a prominent family dating back to the signers of the US Constitution. His parents died at an early age and he was raised by a maiden aunt. Due to the Civil War, his family and its prosperity were declining and there remained not much to keep to keep him in the South. Upon migrating to New York, he took up a career in writing for leading magazines of the day such as Harpers, Engineering and Century which led to playwriting several stage plays. His writing and personality led him to make various globe-circling trips. On one he crossed the Middle East, Russia, Siberia and ultimately Hawaii which became a life changing event. 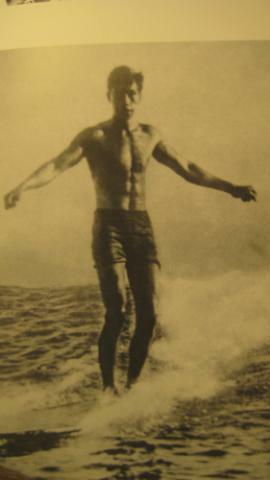 "Surfboard Riding" was already gaining popularity, as was Waikiki with all of which he fell in love. By 1907 we find him settling down in his new love, Waikiki, making friends with historic surfers, best-selling authors and leading citizens alike. Noteworthy of the many were George Freeth the very early Austrailian surfer and Jack London the author then world famous for 1903 Call of the Wild etc selling in the millions, in 40 languages all over the world. 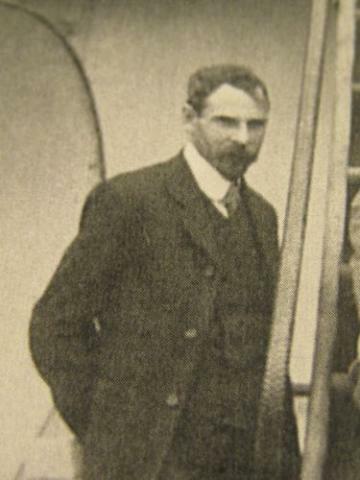 Freeth taught Ford and London to surf. 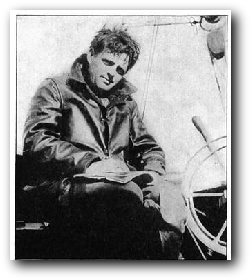 Both Jack London and Hume Ford then spread the word, world wide about Waikiki. At this time a delegation of 28 US congressmen decended on Hawaii. Ford lobbied them which may have hastened recognition at the Federal level of the Territory of Hawaii. So this mix of writers, politicians and surfers met, talked, swam and surfed, got sun burned and started writing aricles and legislation. First and foremost were Ford's promotional writing of Waikiki and its watersports in the top magazines of the day, Woman's Home Companion, Colliers and the British Pall Mall. London's world fame and Hawaiian publicity added fuel to the fire. In addition to writing and surfing, Ford was organizing support for a number of worthy causes. Newspapers of the time humorized that "he is forming a club a month". 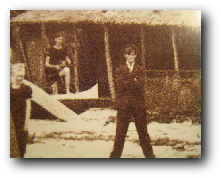 His most famous and successful club was, of course, The Outrigger Canoe and Surfboard Club as it was originally named. 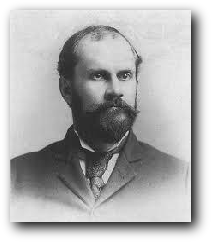 Ford consulted with Burton Holmes, noted film maker and travel writer of the day, explored the beachfront for property, drew up artistic renderings and met with Honolulu "movers" of the day. He finally settled on a piece of property near the 6-year old Moana Hotel owned by the Queen Emma estate. Part of the lease agreement was that the land must always be used for watersports. A key speech was made to the Commercial Club on March 18, 1908. 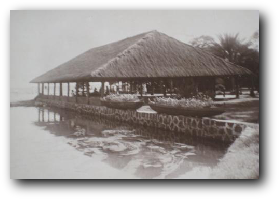 The Outrigger Canoe Club was then formally organized on May 1st 1908 with 86 adults and 15 junior members. 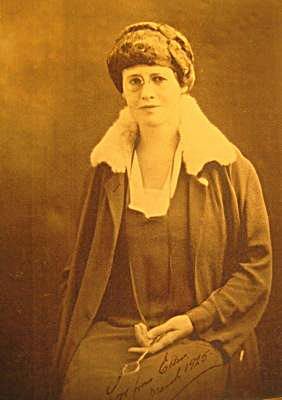 Charter members included of leaders of families still prominent: Lorrin Thurston and Ella Wilcox. The Outrigger was an instant success. By 1915 the Club had 1200 members and 200 on the waiting list. 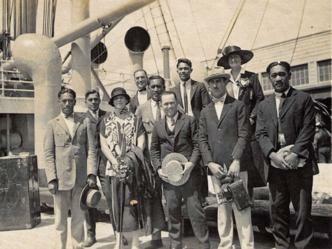 Duke Kahanamoku, joined the Outrigger in 1918. 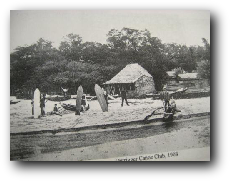 Other watersports clubs in those early days were the Hui Nalu and the Waikiki Swimming Club of which Duke was Captain. 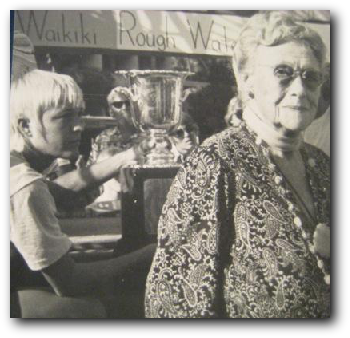 In 1971 Ford's, by now world famous and even more prestegious Outrigger Canoe Club, anonymously contributed substantial start-up funds to the Waikiki Roughwater Swim for the trophys which were silver in the early days. In addtion, OCC manned a fleet of canoes for life saving and race control, thus keeping true to its pledge to be perpetually dedicated to Waikiki watersports. Our ultimate patron saint, Duke Kahanamoku, joins the OCC in 1918 while continuing as Captain in his other clubs...Hui Nalu and Waikiki Swimming Club. This later club morphed into the Waikiki Surf Club and finally disappeared in the 1980's. The Waikiki Swim Club founder, who on his boat was a neighbor of Duke's boat "Nadu" in the Ala Wai, enjoyed talking to Hawaii's Greatest Swimmer. This led to founding a club to promote ocean swimming and supporting the annual Roughwater. 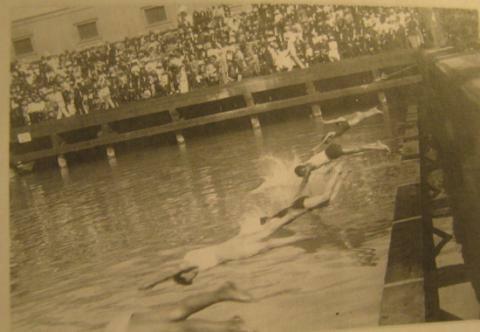 The club was christened the Waikiki Swim Club making a slim link with Duke's historic first Waikiki Swimming Club. This woman, now barely remembered, but none the less, fully deserving of the great honor of being a charter inductee of the ultimate swimming hall of fame. How short our memory. Since she did so much for three generations of Hawaiian swimmers and so much for the nacent Waikiki Roughwater Swim, this history will try to perpetuate her memory in gratitude for her many contributions. 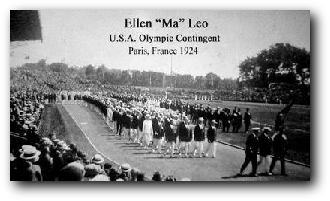 "Ma Leo" as she was affectionaltely known, organized the first women's swim club in Cape Town, South Africa and Victoria, British Columbia and finally Honolulu. She discovered Hawaii when traveling the Pacific with her husband, fell in love and settled here in the early days of the 20th century. Upon arrival, she began immediately to improve swimming in the Territory. 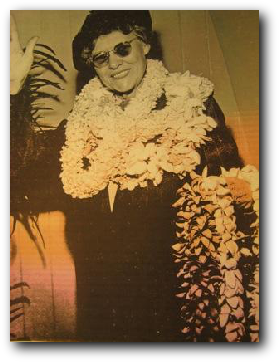 Highlights of Mrs Fullard-Leo's many contributions: first woman on the Executive Committee of the National AAU, Founder of the Royal Life Saving Course in Hawaii, helped launch the US Olympic Committee and the Pan American Games, was manager-chaperone for a multitude of trips to major US, Pan American and Olympic contests as well as 60 years of local Hawaiian swim meets and events. With her husband, who was a strong athlete, they bought land from Prince Kuhio in Wakikiki which later became the International Market Place. 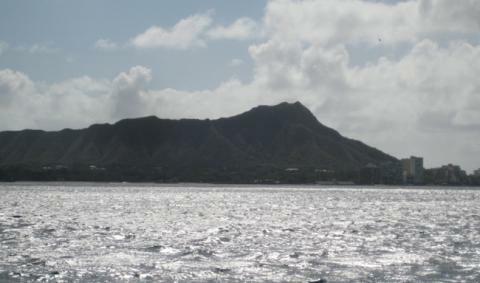 She reminisced about the street cars that came out to Waikiki near her house and the beach. The Fullard-Leos bought Palmyra Island which was used by the US Government for the prosecution of WW II in the Pacific and later figured in a tragic yachting story. The Fullard-Leo's raised three sons, one of whom became an actor with the stage name of Leslie Vincent, performing in over 100 movies. One of Ma Leo's major accomplishments was the managing and facilitating of Duke's swimming career...some clippings saying: "Started Duke on his way to world fame". Some of the swimming officials in the then faraway mainland questioned the times she reported with the caustic: "What are they timing with out there? Alarm Clocks? " ! Ma Leo plus Duke himself turned his skeptics to believers. In 1971 Ma Leo contacted the founder of the Roughwater Swim and proposed to donate the main trophy of the Swim. This became the Perpetual Trophy for the First to Finish with each year's winner's name engraved in silver. 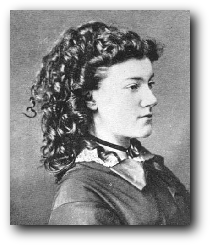 Mrs Leo was very serious that the name of the trophy should be "Alexander Hume Ford" who was her lifelong serious friend and collaborator in Hawaii's climb to iconic status as a venue for watersports. This trophy on it Koa wood base is a 3-foot high, very photogenic sight when being held by some young champion swimmer with equally photogenic body. It played no small role in the early fast rise to fame of the Waikiki Roughwater Swim. 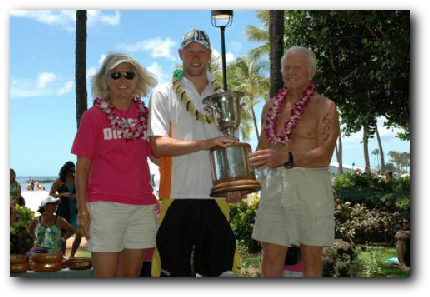 For this monumental trophy and all you did for swimming around the world and especially here in Hawaii. The founder's melancholy memory is of her saying so humbly "All I did was a lot of paperwork" ! Interestingly, even though this great waterman was certainly deserving of the title of duke, this was actually his given name. He was the eldest of six sons, his father also being Duke having been named that in connection with the visit of the Duke of Edinburgh in 1868 to the Sandwich Isles, then a protectorate of Great Britain. Our Duke is the ultimate Patron Saint of this Swim. 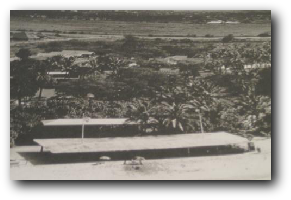 Our Duke was born in Wakiki on the Paoa family propery next to Fort DeRussey where the Hilton Hawaiian Village now stands and where our Wakikiki Roughwater Swim has always finished. The City of Honolulu has recognized both him and his birthplace by naming the two surrounding streets, Paoa Lane and Duke Kahanamoku Lane and the beautiful newly redone beachfront lagoon, Duke Kahanamoku Lagoon. Born on Wakiki Beach, young Duke was completely at home in the water. He exceled in swimming at an early age and by the time of his teens was a swim leader in the Islands. When Mrs Fullard-Leo sent his times in to the National AAU, the officials responded with "What are they timing with out there in that distant Pacific Territory, an alarm clock" ? ! 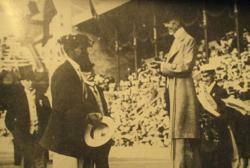 Duke dispelled these doubts thoroughly in person at the Stockhold Olympics in 1912 where he was honored with an Olympic Gold Medal presented by the King of Sweden. 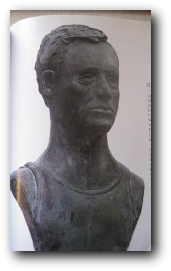 In his swimming exploits he was helped in no small way by the unseen efforts of the second of our patron saints, Mrs E. Fullard-Leo, who sponsored him in many ways in the world of sports officialdom. She and Duke are both honored in the Bishop Museum Hall of Fame. It has been said that Duke revolutionized competitive swimming in the USA when he set three world records early on by large margins with his powerful stroke and his new flutter kick. 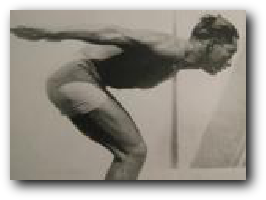 Onward and upward by the age of 22 he is off to the Stockholm Olympics in 1912 followed by Antwerp in 1920, Paris in 1924 and Los Angeles in 1932 at age 42. In all he garnered three gold medals and two silver medals. 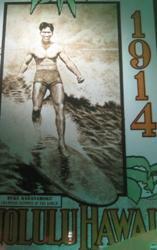 Over the years when not excelling in swimming, Duke had a separate "career" as a famous surfer. His fame in this area long ago reached iconic levels. His famous 2-mile surf board ride from outer "Castles" to the Natatorium has become a legendary historic feat passed on by generations of impressed Waikiki surfers. This ride is memorialized in the Hawaii Hall of Fame of Bishop Museum. In addition to endless print acolades, the US Post Office struck a special postage stamp, Austrailia has a double life-size statue of him recognizing his bringing surfing Down Under in the early days and yet another statue of him resides in the dead center of Waikiki on the ocean side of Kalakaua Boulevard. Also, there is an excellent permanent biographical exhibit of Duke on the Ewa side of the Hilton Hotel, ground floor, just in from Kahanamoku Lane. For many years Duke was the "Sheriff" of Honolulu and the main chief of welcoming dignitaries to Hawaii. In 1940 Duke married Nadine Alexander. In the 1960's Duke had their sailboat, NaDu, moored in the Ala Wai Yacht Harbor next to Cotton's Torea, newly arrived from a circumnavigation, on T-Pier. The founder of the WRS made connections with Duke who was always cordial and "talked story" about boating and his swimming days in the Waikiki Swimming Club before he joined the Outrigger Canoe Club. This contributed to the naming of our club, The Waikiki Swim Club. Duke being born on the WRS finishing line property; the founder's acquaintenceship; the founder's distant in-law relationship via the Cotton, Fletcher and Toberman families. 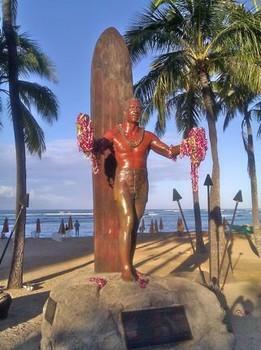 This is why we proclaim Duke the ultimate patron saint of the Waikiki Roughwater Swim.